The judiciary plays a central role in enhancing and protecting women’s rights, as well as the development and enforcement of formal legal responses to discriminatory and criminal activities, including violence against women (VAW). 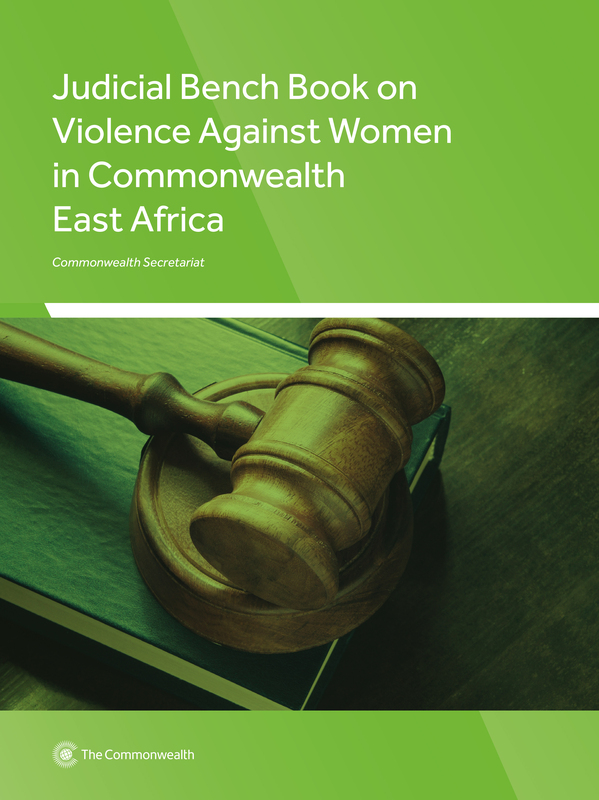 The Judicial Bench Book on Violence Against Women in Commonwealth East Africa situates VAW in four member countries, Kenya, Rwanda, Tanzania and Uganda. By placing VAW within the socio-cultural and legal context of the region, it is hoped that the bench book will enhance the ability of judicial officers to handle cases of VAW, both within a human rights as well as a gender perspective. It is a quick reference for judicial officers, in line with the foundations of the common law system –stare decisis and judicial precedent. Through case law, the book discusses measures to address VAW and the role of the judiciary in ensuring that the state fulfils its obligations. It also includes examples of how a lack of appreciation of the lived realities of women victims of violence can lead to denial of justice. The critique of such cases will expose the injustice arising from failure to interpret the law through a gender lens, thereby offering important lessons to judicial officers. Case 5.4 Jackline Vidanya Baraza v Rep. This publication presents papers contributed by senior judges, lawyers, academics and representatives of international and non-government organisations involved in promoting the human rights of women and the girl-child. It provides an overview of international and regional human rights standards relevant to the human rights of women, highlights the importance of using a gender perspective in judicial decision-making, examines challenges involved in promoting the human rights of women and the girl-child in domestic litigation, and explores ways in which international human rights standards can be relied on to ensure gender equality at the national level. Read this publication for free online on the Commonwealth iLibrary.